We offer many solutions for replacing missing teeth. With modern technology, there are various options for replacing missing teeth that are non-invasive or minimally invasive, yet give you stable and attractive new teeth. 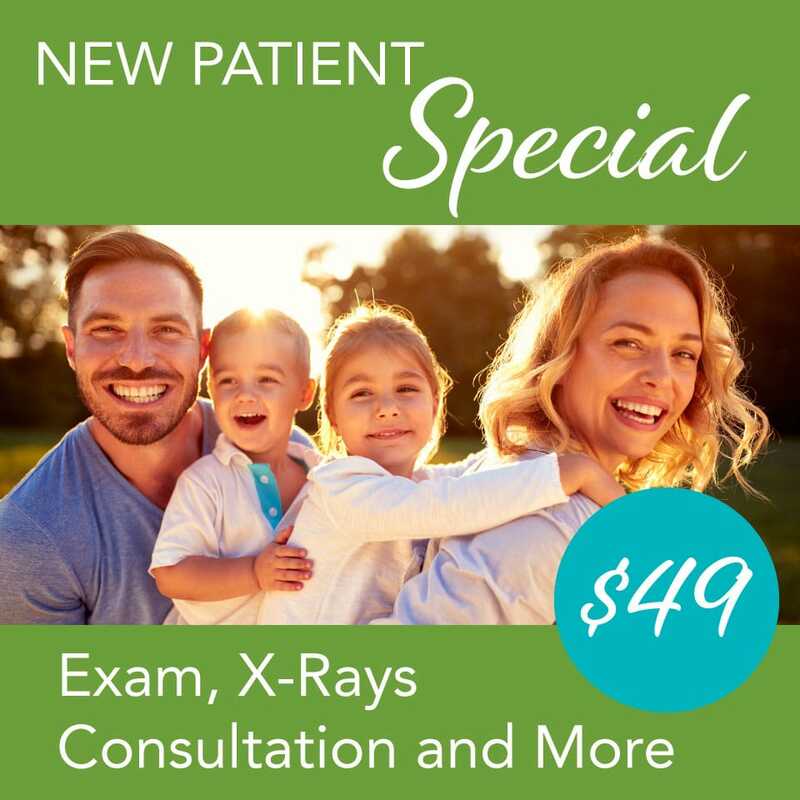 Dr. Kardaris can help you with your missing teeth or teeth needing extraction, and to choose the best option for you and your budget. 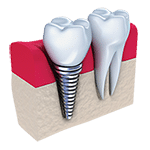 A dental implant is a titanium post inserted into the jawbone to replace the root of a missing tooth. A porcelain restoration, such as a crown, bridge or denture, is attached to the post with a connector called an abutment. Dr. Kardaris feels that the best solution for single tooth replacement is with dental implants. Dental implants are stable, long-lasting and look, feel and act like natural teeth. They are among the most successful procedures in dentistry today and offer a permanent solution to teeth loss. Dental bridges are used to replace missing teeth, but require that the adjacent teeth supporting the bridge be shaved down. Dental implants may be a better solution. The past standard for replacing one or two missing teeth was the use of a dental bridge. Dr. Kardaris considers a single implant as a better option than the dental bridge for replacing a single tooth. A bridge is more subject to decay and can promote bone loss. A bridge also tends to have an uneven chewing pressure, which also leads to earlier malfunction. However, Dr. Kardaris takes into account various factors and sometimes a dental bridge is a better option for the patient. During the exam she will take a good look at your particular situation to determine which is the best way to go for you. Usually Dr. Kardaris will only recommend replacing each of your missing teeth with dental implants if only a few teeth are missing. If many or all teeth are missing, it can be better to replace them with a combination of implants and other restorations, such as dentures or a bridge of crowns. This provides more flexibility for chewing, similar to natural teeth, and is more affordable.